Midterms and finals can cause a lot of stress for college students. Between attending office hours and spending late nights studying at the library, it’s easy for students to feel overwhelmed. Being away from home seems daunting and nothing makes you wish you were home more than feeling under the weather. Parents away from their students can still support and comfort them with some thoughtful gifts in the mail. Send a care package full of goodies and snacks to cheer up your student and motivate them to conquer the week! 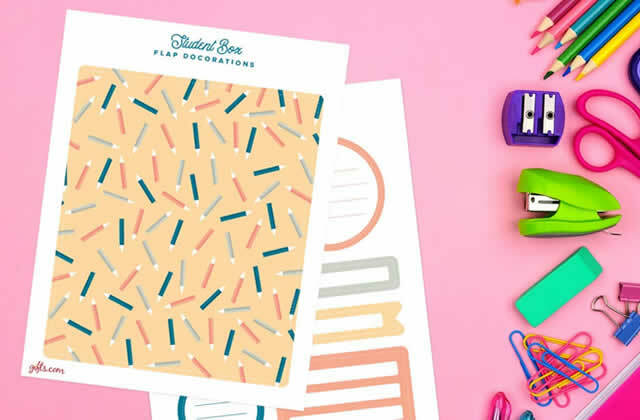 These care package ideas will make the perfect gift to encourage your student to push through studying or simply get some much-needed rest. Download and print these creative care package printables to decorate your box and package contents. Using the printable stationery, write your student a motivational note they can read when feeling stressed. Don’t forget the roommates! To double the surprise, pack enough goodies so your student can share with their roommate. This random act of kindness will mean more than you ever know.